Qualcomm has revealed its new 10nm chip – the Snapdragon 712. 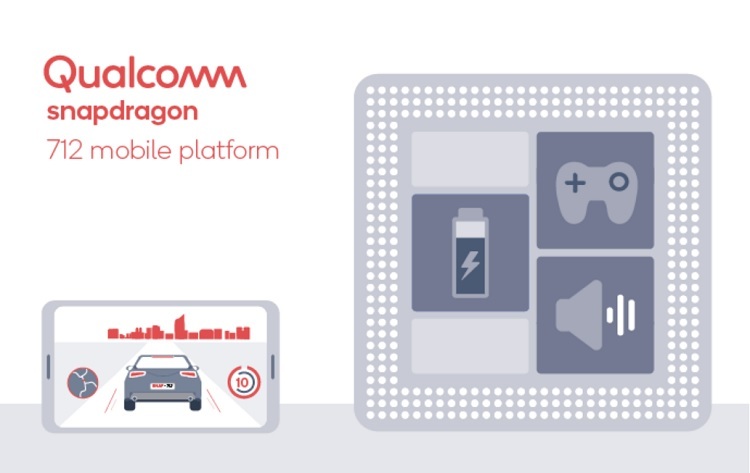 As a mid-range chipset, Qualcomm promised to deliver “premium features in gaming and beyond” through the new Snapdragon 712 mobile platform, which is built on a 10nm process. Backed with Qualcomm AI Engine, the chip uses the Kryo 360 CPU, Adreno 616 GPU, and Hexagon 685 DSP. It is expected to provide up to 10% increase in performance over the Snapdragon 710. Moreover, it also integrates the Snapdragon X15 LTE Modem, allowing it to connect quickly and deliver lightning-fast speeds. It comes with 4G LTE with 4x4 MIMO, and License-Assisted Access (LAA) as well. Qualcomm armed it with the Spectra 250 camera ISP, too, enabling devices to support 10 bits of color depth, high-quality photos, and 4K videos. In addition, it supports Qualcomm QuickCharge 4+ technology, promising to charge smartphones from 0% to 50% in just 15 minutes. Who’s excited for the new Snapdragon 712? Share your thoughts with us!